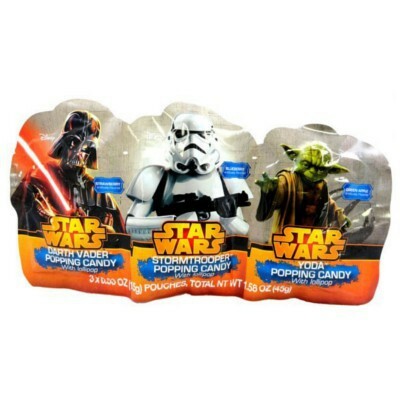 Darth Vader, Master Yoda, and the ubiquitous Stormtrooper are the stars featured with these fun and colorful pouches of popping candy! Three packets of blueberry, strawberry, and green apple pop rocks come with a lollipop for licking, dipping, and enjoying! 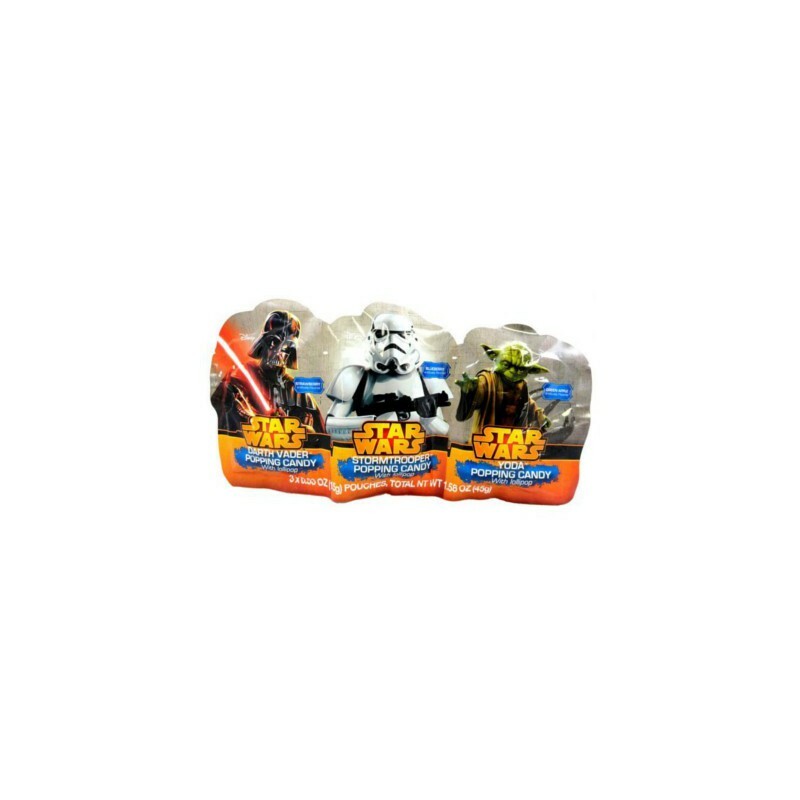 Check out all of our Star Wars-inspired licensed products! Lollipop: sugar, starch syrup, acidity regulators E330-E296, artificial flavor, color E129*. Popping candy: sugar, corn syrup, lactose (milk), acidity regulators E330-E296, carbon dioxide, artificial flavor, colors E129*-E102*-E133. May contain traces of milk. *May have an adverse effect on activity and attention in children. Contains GMO. Nutrition facts (for 100g): calories 400Kcal, total fat 0g (saturated fat 0g), total carbohydrate 100g (sugar 20g), protein 0g, salt 0g. Encore une friandise qui rappelle mon enfance! La sucette que l'on plante dans son sachet. On la ressort avec une poudre qui pique sur la langue! C'est trop bon! Effet garanti avec Star Wars!